THOUGHTSKOTO Thoughtskoto : Good News or Bad News? 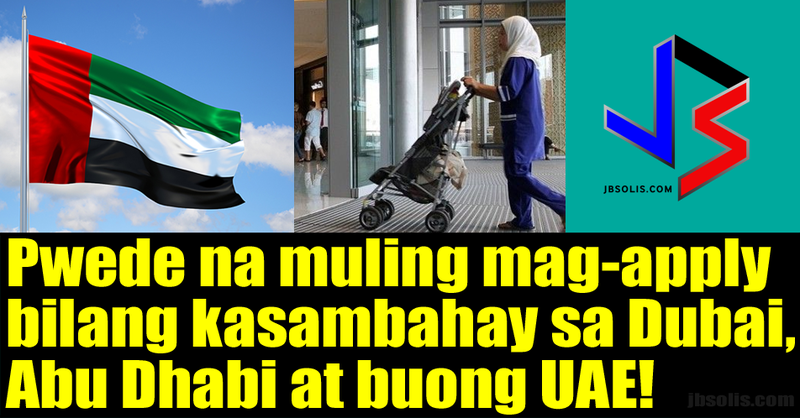 UAE Will Hire New Domestic Helpers From the Philippines! Good News or Bad News? UAE Will Hire New Domestic Helpers From the Philippines! A big piece of news has come directly from the POEA. Labor Secretary Sylvestre Bello III himself has confirmed that the UAE is again set to hire Filipino household service workers soon. This comes as an agreement has been signed by the Philippine and UAE government representatives, effectively lifting the ban of hiring new Filipino domestic workers since June 2014. The ban came to effect due to conflicting recruitment policies between the two governments. Agencies have been abusing the UAE tourist visa system to bring maids to the UAE, changing their status once they arrive. The ban has not stopped the hiring, but it has increased the cost of hiring maids from the Philippines, usually via different visas or via a third country. This combination opens the door for abuse. A previous effort to lift the ban did not flourish due to what was seen as too-strict requirements from both sides. The newly-forged agreement is set to end the previous practice of hiring maids and facilitate the process for approving and recruiting domestic workers in a way that ensures transparency between the contractual parties and that the process is in accordance with the laws of both countries. The memorandum was signed in Abu Dhabi on Tuesday by Saqr Ghobash, the Minister of Human Resources and Emiratisation for the UAE, and Silvestre Bello III, the Secretary of Labor and Employment for the Philippines. The MoU is a result of many consultations held between the two countries. 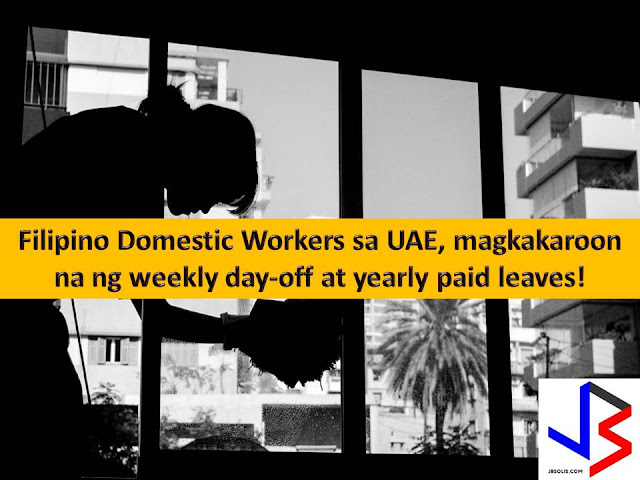 The UAE Ministry of Human Resource initiated the move by contacting its counterparts in countries from which the UAE has a huge demand for domestic workers, including the Philippines. Sec. Bello said that the MoU enhances the partnership between the UAE and Philippines regarding Overseas Filipino Workers in the UAE, as well as improving the management of the contractual period between employers and expat workers. Awareness and guidance programs will be given to the employer. 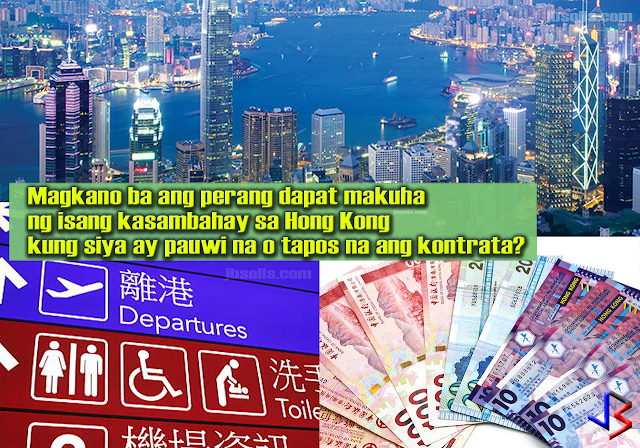 The employee will also receive awareness and guidance programs prior to leaving the Philippines (PDOS). The programs will inform employer and employee about their rights and obligations towards each other. Recruitment of Filipino household service workers will begin once all the necessary procedures are established for facilitating the recruitment process. Only recruitment agencies registered with the ministry are able to offer recruitment and employment applications for domestic workers.